Home is the safest place, unless, you're alone. 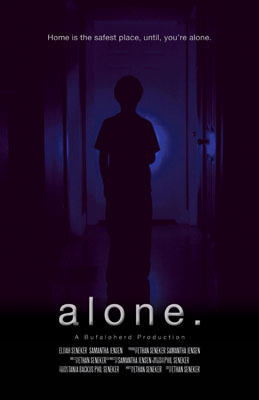 Synopsis: Andrew, a 10 year old boy, is in his living room playing with trains when the lights go out. He uses his flashlight to uncover clues, throughout the house, as to what might have happened. A broken plate, a scared cat, a whining dog and a demon.